Thanksgiving and Christmas dinners should be centered around mashed potatoes. It’s not only my favorite side dish but easily my favorite food. My first Thanksgiving after I was married we hosted at my house. I made these mashed potatoes because I knew they would win everyone over. I was right, everyone loved them. The only embarrassing part was I ended up making a few to many for our small family. I made over 10 pounds of potatoes, but at least everyone got seconds. 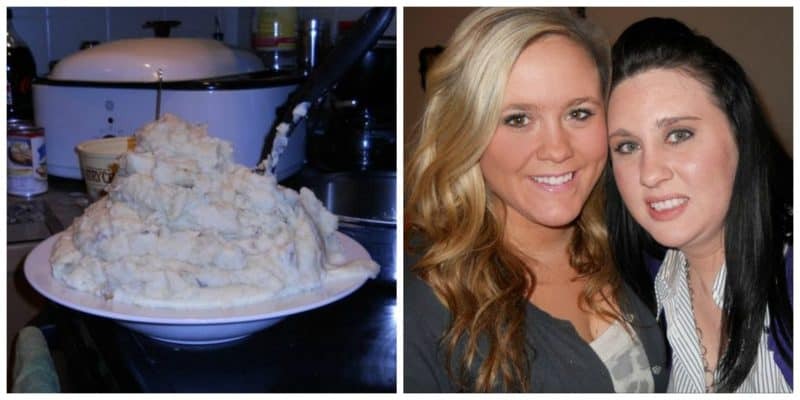 Here I am with my sister and for a good laugh my embarrassing amount of mashed potatoes that I served as just one of my side dishes for Thanksgiving! 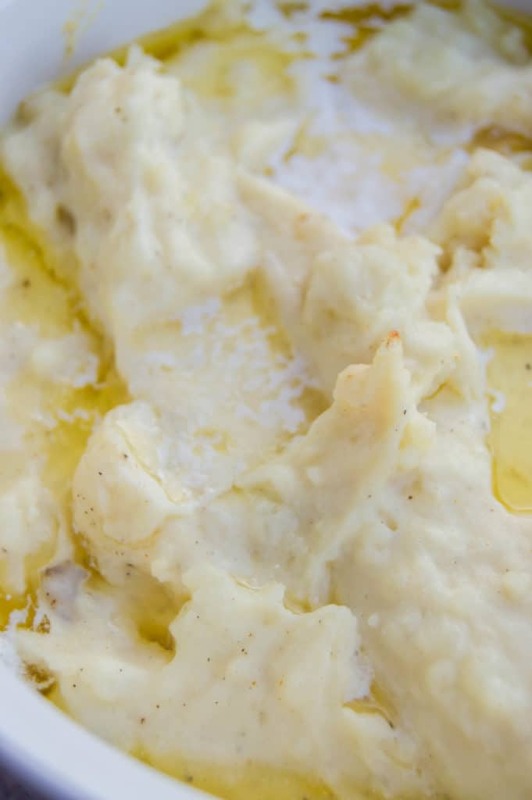 So maybe your mashed potatoes shouldn’t have that much focus at the dinner table, but if you are making the World’s Best Mashed Potatoes they will definitely steal the show! And if you make 10 lbs of potatoes, and then try to stuff them all in a large pasta dish and they measure about 2 feet high then they will DEFINITELY steal the show. Step One: Add potatoes to a pot and cover with water. Cook until potatoes are tender. Step Two: Drain your potatoes and then return them to the pot. Step Three: On low heat add in butter and cream cheese and start mashing. Step Four: Once creamy slowly add half and half and milk. Step Five: Keep mashing then add seasoning salt and pepper. Stir and place in a casserole dish. Step Six: Add remaining butter to the top and bake. I have had a few people wonder how baking the potatoes does not dry them out. 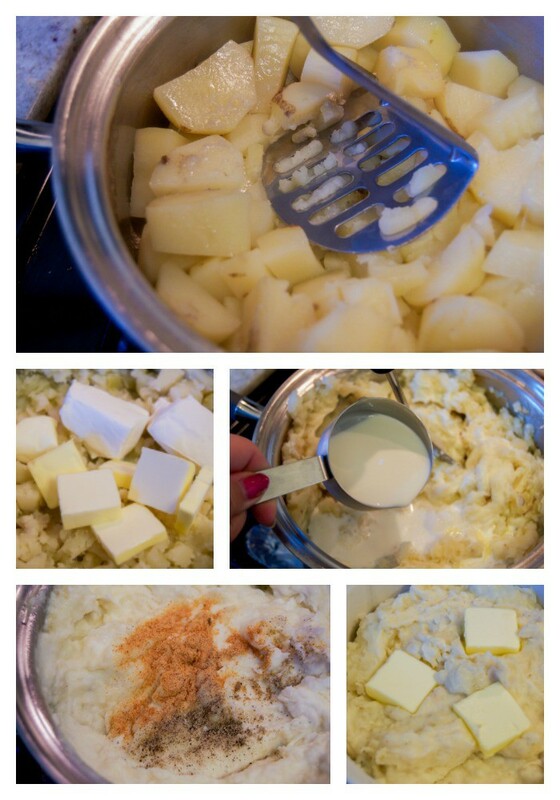 I have tested this recipe several times and my potatoes always end up creamy and delicious. Baking it them helps get that thick and creamy texture and the rich flavor with the melted butter. I would say just trust me on this one, these potatoes are amazing. 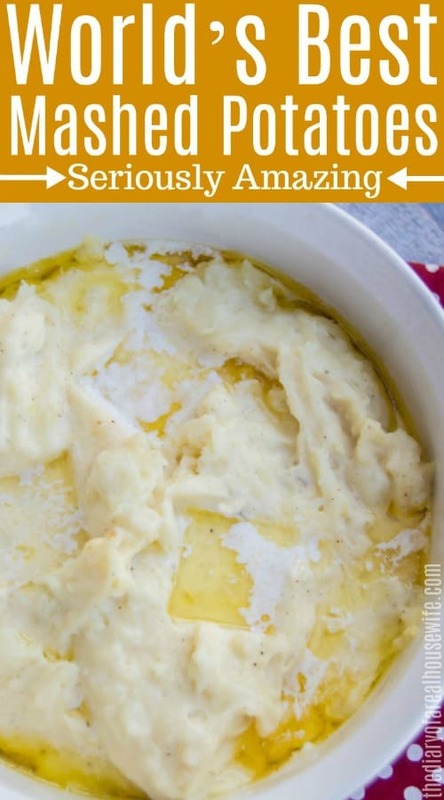 While any potato would work for mashed potatoes and can easily be substituted I love using russet potatoes for this recipe. How to make these potatoes ahead of time. 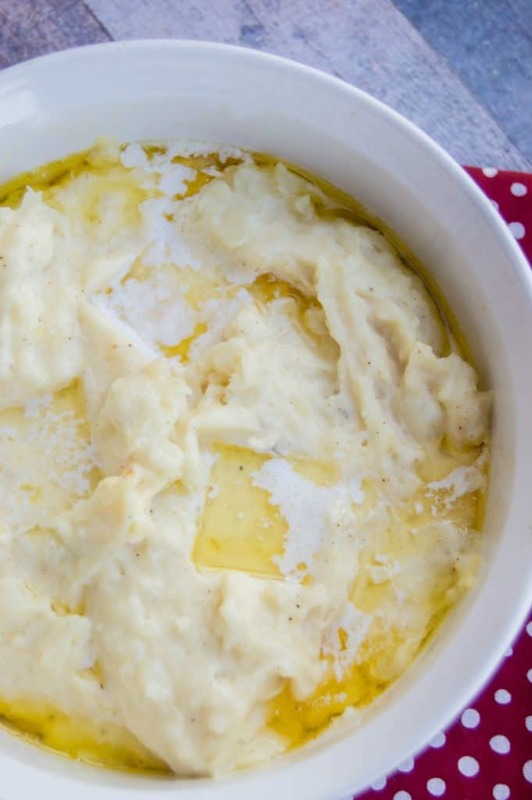 These mashed potatoes are perfect to make the day before. I do it each holiday. One less thing to worry about the day off. After cooking place them in a casserole dish and allow to cool. Cover with foil and place in the fridge. The next day add your butter to the top and bake low until warmed through. Add peeled and diced potatoes to a pot and cover with water. Bring to a boil, reduce heat, and allow to simmer for 20-25 minutes until potatoes are tender. Drain your potatoes and then return them to the pot. Return pot with potatoes to the stove on low heat. Add 5 tbsp of butter and cream cheese to the pot and start mashing. Once creamy slowly add half and half and milk. Add just a little at a time until you get the consistency that you want. Keep mashing then add seasoning salt and pepper. Stir and place in a casserole dish. Add remaining 3 tbsp of butter to the top and bake at 350 degrees for 10-15 minutes or until butter is melted and potatoes are warm. Is it just 4oz of cream cheese or is there a typo…..and it’s 1 brick plus 4oz? Sorry about the confusion Evelyn! Yes it is just 4 oz of cream cheese (1/2 block) you can of course add more to taste =) I hope you enjoy this recipe! I’d luv to try this, but not for 8 people. Is there an easy way to make this for 2? You can half everything and that should be a little less for you. But leftovers are so yummy also =) If you just make enough potatoes for two and then add the ingredients slowly until you get the texture you like. Yes you can! I usually just make them add them to a dish you can freeze then once cooled place it in your freezer. Place it in your fridge the day before so I can start to thaw then bake when you are ready to eat. You just may need to add more baking time to get it warm though out. 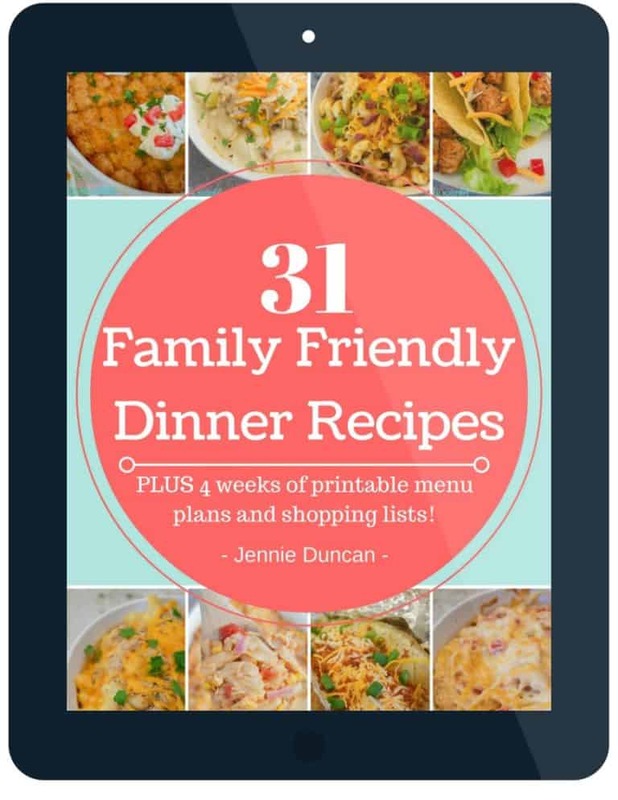 I usually make the potatoes and they travel to my moms in a crockpot – will that be fine having them set on warm? Yeah I think they would be great in the slow cooker! Hope you enjoy them Christine! Thats an awesome idea! The best way to keep everything warm all day. Even when it’s time for seconds =) Hope you have a great Thanksgiving Frannie! Does it matter if I use salted or unsalted butter? Just preference. I used unsalted because I think the seasoning salt is enough and it may be a little to salty with it. Depends on how much you like salt though =) Hope you enjoy them Serenity! Hope you enjoy it Crystal!! OH MY!! These are so good!! 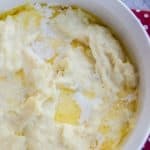 This is now my go to mashed potato recipe! Never making them another way again! I can’t wait to have these for Thanksgiving or any time for that matter. Thanks . 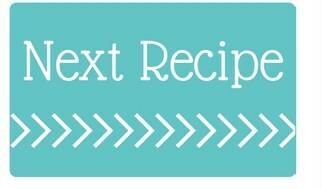 Can you do this recipe without baking? Yes they still taste great even if you skip that step! What seasoning salt do you use? Do they need to be covered when placed in the oven? If i dont have half n half , is it ok ? Or what can i use instead ? You can just use some extra milk! Yes, I would just use a little less and add some more milk to it. 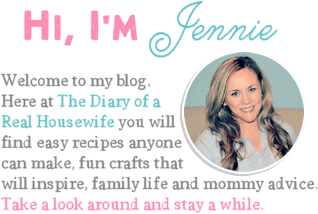 Hi Jenn, I bake these uncovered! Yah!! So glad you liked it!